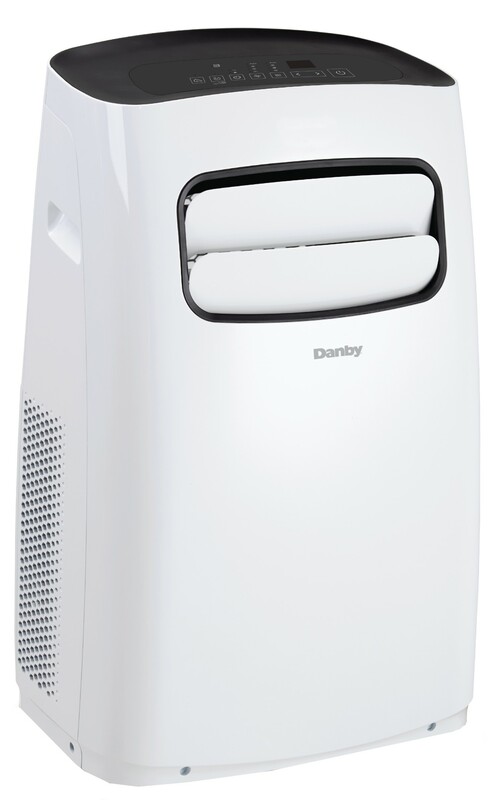 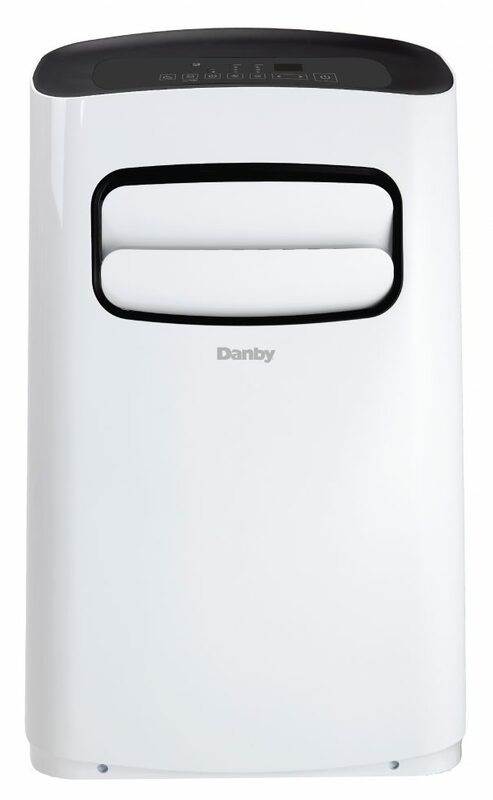 This 10,000 (5,300 SACC) BTU portable air conditioner by Danby is perfect for cooling rooms up to 450 square feet. 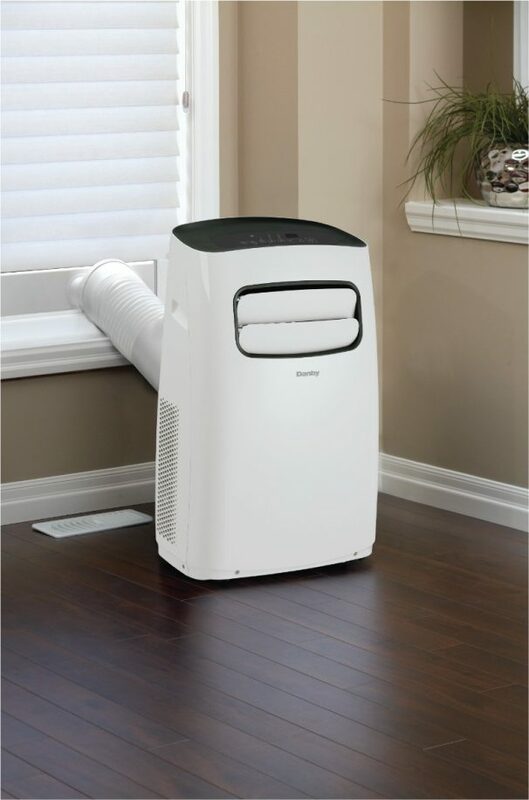 Its four castors make this unit easy to move from room to room and the single-hose design efficiently exhausts warm humid air outside. 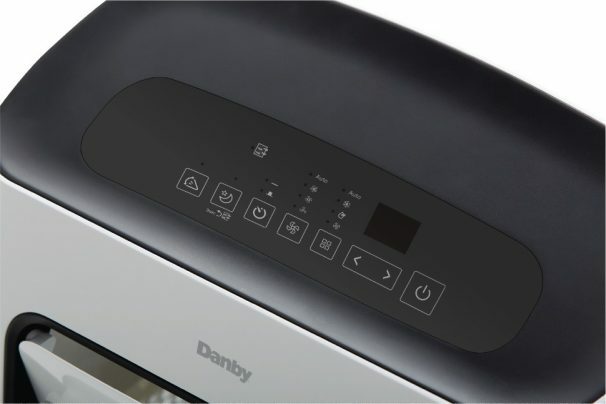 The 24-hour programmable timer allows for better control of when the unit operates which reduces costs and helps you save on your monthly hydro bill. 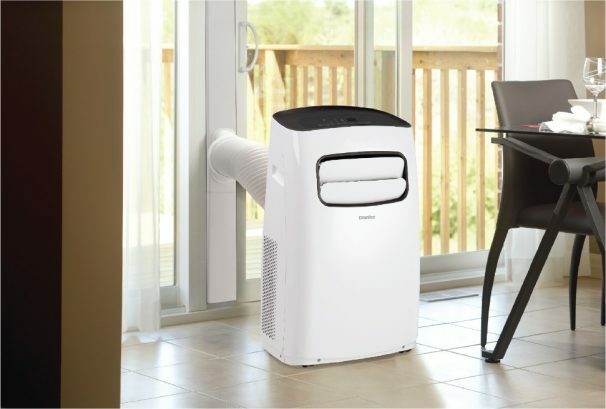 To help maximize your comfort at home, this unit is equipped with a 3-in-1 design: air conditioner, fan and dehumidifier to ensure you and your guests feel comfortable no matter the weather outside.